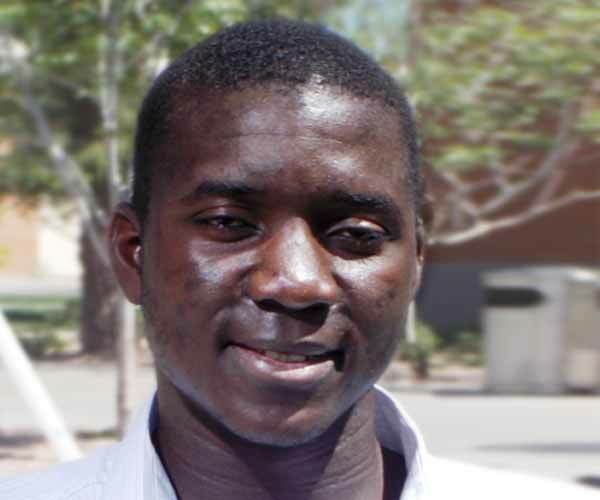 While interviewing Dauda at Phoenix College, students, faculty, and staff continually walked by and said, “Hi, Dauda!” Although Dauda is now at ASU West, he certainly left an impression on those he befriended at Phoenix College. Dauda was born in Sierra Leone and moved to Liberia from where he came as a refugee to the United States. As a little boy in Sierra Leone, he would assist his mother at their family-owned pharmacy. She and her young son would dispense to as many as 20 patients a day. Dauda remembers feeling good every time he assisted his mother. He sees donors as investors and assures us that investing in him is like betting on a sure thing! After meeting Dauda, you would be convinced of that, too.